Thai food is a somewhat vice for me – for some reason when eating it I convince myself it’s completely healthy. Despite this not being true – any evidence proving it is will be extremely welcome – I continue to gorge on Thai food. Rosa’s Thai was no exception. I’d been here with friends previously and headed here once again to fulfil my cravings – their Soho branch – and get my Thai fix. 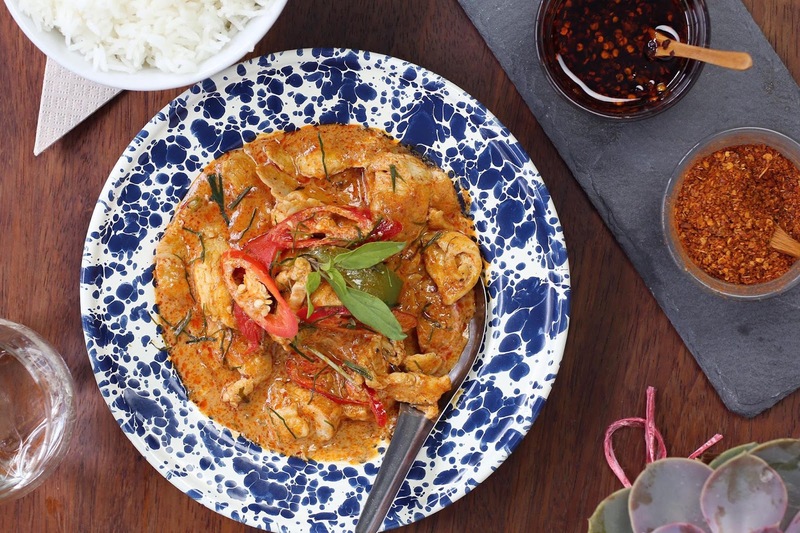 The location of Rosas Thai is perfect – though they have other branches in Spitalfields, Angel, Chelsea – and it is one of my go-to locations for quick, delicious food. As a Kent girl, born and bred, I find myself a little more at home with places like Rosas Thai. It’s small, quaint and somewhat homely. I mean don’t get me wrong – I love the lavish, larger restaurants – but sometimes the heart wants what it wants. In my case this is often comfort food. It wasn’t long before we were seated – which is a huge plus for me because I hate queuing – and we looked over the menu. I often find people are genuinely shocked by the amount I eat – I could literally put away the same amount as a 24st man and still end up snacking later – so the menu layout is perfect. I can eat until my heart’s content. Our starters arrived quite promptly – within about 15 minutes – and we tucked in. In the recent months I’ve been having crazy cravings for prawns so my crispy prawns went down well. They were the perfect size and the breadcrumbs weren’t excessively oily, nor too crispy, and the sweet chilli sauce was tangy and spicy. How it should be! The spring rolls were also delicious – full of flavour, cooked well and served piping hot. One thing I always do when eating Asian food is drink beer. Previously when I had gone I stuck to coke – but this time I was adamant I would follow my tradition. It’s weird because I’d consider myself a wine fiend – but it just doesn’t do it for me when eating Thai. I would say it’s worth mentioning, given the location, the alcohol prices are reasonable here! My main of Thai green curry (a personal favourite) and stir-fried cabbage were quickly there. Despite the fact I should have been full from my substantial starters – I was more the opposite. The Thai green curry – which I’ve had before – was great as expected. It’s a safe bet for me. I’ve previously had the grilled pork neck which was delicious also and I’d highly recommend it – it’s a little salty but still retains all flavour. The Thai green curry is a little spicy – a mild kick but nothing too awful – and tastes incredible. To date it’s one of my favourite green curries in London! For me personally Rosa’s Thai is a great, all-round place. It’s reasonably priced, central and has a great atmosphere. As always I’ll definitely be heading back for me – and who could blame me?